Libra, welcome to August. This month will give you new opportunities to enjoy friends, clubs and networking, and volunteering and to bring more attention to your inner life, health, and dreams. For you, Libra, planets in Leo always activate your eleventh house of friendship, networking to expand your contacts and client base, and anything you to do help charities or volunteer your time and talents. This house also governs how you want to make the world a better place through your hopes and humanitarian ideals. The Leo planets this month can help you make new friends or reconnect with childhood pals. These energies also may prompt you to evaluate your network and perhaps join a club or industry association to further your business interests or meet new friends with similar interests. They also can inspire you to think about your vision for an ideal world, especially when it comes to children and the arts, and to apply your unique gifts to help make your ideal a reality, perhaps by volunteering, tutoring a child, or leading a fundraising initiative. For you, Libra, planets in Virgo increase your desire for solitude because they bring energy into your private twelfth house of seclusion. This area also governs health, especially psychological issues, as well as your dreams, activities you undertake anonymously, and projects you work on behind the scenes. As soon as the Sun enters Virgo, you may put off socializing in favor of time alone so you can work at getting the details of your inner life right. 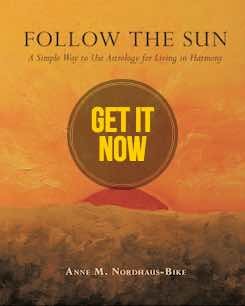 You also may feel inspired to start meditating, return to a former spiritual practice, make appointments with a therapist or other health professional, and explore martial arts or other holistic approaches that support fully integrated health on the physical, mental, emotional, and spiritual planes. For you, Libra, the August 11 eclipse may bring news or a fresh start in something related to your eleventh house of friends, networking, clubs, industry associations, humanitarianism, philanthropy, and volunteering. Make time to reflect on how last month’s eclipses affected you and the people around you and open your mind and heart to new possibilities starting around August 11. August 1: Mars in your romance and pleasures area makes a tough alignment with Uranus in your shared income house. You may feel on edge, and others will be touchy, too. Concerns over child support or alimony may put a new romance on the back burner, or a financial issue could affect a child’s activities. Avoid intense discussions, focus on potential breakthroughs and step back to gain perspective if sudden news or changes affect plans, a relationship, or finances. August 6: Your ruler, Venus, leaves your twelfth house of spirituality and health and enters Libra in your first house, renewing your loving touch and charm and bringing potential financial gain through a personal project or your unique style or public image. Meanwhile, the Sun tests Jupiter, affecting friendships, networking, and personal money matters and possibly sparking passionate romantic or creative developments. Watch spending, remember how flexibility can enhance relationships, and be receptive to others’ heartfelt desires or beliefs. August 7: Uranus, the zodiac’s change agent and spiritual awakener, goes retrograde for the next few months. Look back to May 15 to see how these early days of Uranus in Taurus have affected you. Also, Venus and Mars will make love across the skies in air signs, turning your thoughts to romance. If you’re in a relationship, schedule a date tonight or meet for a romantic lunch at an unusual venue. If you’re not attached, go out with friends or ask an arts or sports connection to introduce you to someone eligible. August 8: Mercury and the Sun meet up in your eleventh house of business associates, clubs, and volunteering. Review potential agreements with people in your network and wait to sign until after Mercury ends its retrograde, give an informal talk for an organization to which you belong, and go through your contacts so you can connect with anyone from your past who can help you land new clients or business. If you work in a creative field, use this brilliant alignment to follow up on a proposal, present ideas to groups, or solicit help from friends. August 9: Venus in your personality house disagrees with Saturn in your home and family house, creating challenges to balancing your desires with those of family, especially about real estate or redecorating. A parent, landlord, or real estate partner may assert authority, and you may have to work hard to overcome objections. Accept your responsibilities, even as you note adjustments that can smooth your domestic life and relationships. Remain loving and cooperative and remember your affection for loved ones no matter what happens. August 10: Retrograde Mercury tangles with Jupiter, bringing confusion or inflated expectations related to a friend, potential client, charitable organization, your job or income, or a major purchase such as a luxury item or art piece. Avoid overpromising and wait to make decisions or financial commitments. August 11: A new Moon in Leo arrives with a partial solar eclipse, signaling a new start in something related to your business network, memberships, volunteer activities, or friendships. An opportunity in one of these areas may come your way, and with Mercury and Mars retrograde, it could come from a past contact. Whatever happens may feel dramatic and could have a creative or artistic component. August 12: Mars moves in retrograde from Aquarius into Capricorn. Until August 27, you will feel in slow motion when it comes to your home and family. If you’re working on a real estate or remodeling project, allow extra time to perfect it and use this time to get input from experienced realtors, contractors, or an older relative. Also, someone from the past may reappear, perhaps a long absent or distant family member, or a genealogical or oral history project may hit a snag. August 18: Mercury and Venus, your ruler, make a helpful connection, and Mercury ends its retrograde. New clarity can emerge regarding friends, endowments, charitable giving, business connections, and club memberships. Your sophisticated style and elegant personality can help you win admission to an exclusive club and support wise choices in new friends or business associates. August 19: Jupiter and Neptune make a perfect angle, bringing higher love and a noble spirit to how you earn a living, what you choose to own and value, how you manage employees and interact with colleagues, your health and fitness, and the love you share with pets. Make time to meditate and pay attention to subtle clues or messages in dreams, as you may receive otherworldly guidance that can benefit you both materially and spiritually. August 22: The Sun leaves Leo for Virgo, energizing your twelfth house of solitude, psychology, dreams, and behind the scenes work. Take a practical approach to all these areas, get the details right, and bring a spirit of loving service to all you do, especially in health and important projects. Enjoy the next month’s earthy, intelligent energies. August 25: The Sun, Uranus, and Saturn connect harmoniously in what astrology calls a grand trine, creating a perfect triangle in the heavens. These planets will activate your spiritual and mystical houses with stable earth energies, giving you opportunities for inner breakthroughs, powerful dreams for improving some aspect of your life, renewed intimacy that carries a soul connection, and a solid foundation based on high ideals if you open your mind to creative solutions, find practical applications for airy visions, and make strategic moves for the long term. August 26: A full Moon arrives in Pisces in your work, health, and pets house, bringing something to fruition. Also, your ruler, Venus, in your house of personal style makes a challenging link to Pluto in your family and home house. You may see snags in conversations with family about home improvements or how to help parents. Use tact to reach harmony and leverage the Sun-Uranus-Saturn trine to bring stability, innovation, and commitment as well as spiritual devotion to whatever you create with others, and you have a chance of seeing a long term goal manifest. August 27: Mercury in your house of networking, charities, and friends tangles with Jupiter in your personal money house. A volunteer position may create challenges fulfilling work obligations, or a cause you support may require more financial investment than you can manage comfortably. Meanwhile, Mars ends its retrograde, and you may feel a lift as you start to see family plans and home renovation projects move ahead. As you take action on anything related to your relatives or living space, apply whatever you learned during the retrograde to give yourself the best chance of success. Libra, this month’s retrogrades and eclipse will make August a time of inward seeking and opportunities for beneficial change. Indulge in fun, follow your heart, and trust in patience and nature’s rhythms, regardless of what happens and no matter how often you feel tested by slowdowns and sudden shifts. Happy August, Libra! I wish you a wonderful month!